With a tightly gathered header and flowing fabric folds, pencil pleat curtains create a luxurious yet casual look at the window. Our latest design collaboration with House Beautiful is our most elegant yet. Sumptuously tactile fabrics combine with a pure palette and subtle prints for an understated calming look. Need help picturing your new curtains? Read our guide to choosing the right curtains for your home. Explore a variety of curtain headings and learn about linings. Read our top tips to choosing the right curtains for your bay window. Pencil pleat curtains will complete your window with a luxurious yet casual finish, thanks to the way the rich fabric falls to the floor. Loose but elegant pleats hang freely from the tightly gathered header. Take your pick from the beautiful fabrics in our range. You’ll find all sorts of colours, including big and bright and neutral shades. Then there are funky prints and traditional patterns too. 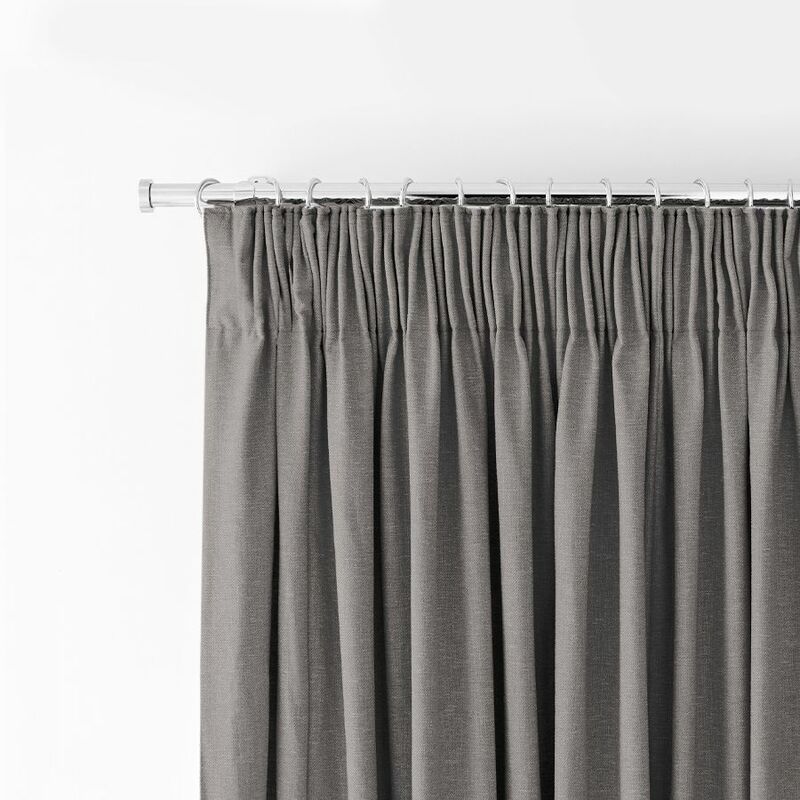 And because our designs are made-to-measure, you choose all the details of your new pencil pleat curtains. That’s everything from the pole to the tie back to the heading, giving you a bespoke look you’ll love. Choosing the perfect pencil pleat curtains for your home is easy – when you enjoy the perks of an appointment with Hillarys. 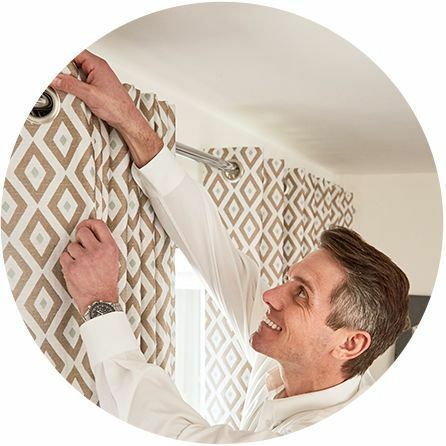 One of our curtains experts will come to your home at a convenient time with samples of our whole range. You can browse all the different styles – making it the ideal time to test how colours and patterns look alongside your existing scheme. Of course, your curtains expert is there to help. So will offer you all the vital tips and bits of knowhow needed to choose your ideal pencil pleat curtains and get the look you want. Made-to-measure pencil pleat curtains from Hillarys look fabulous because they’ve been tailored to your exact details, finished with handpicked accessories and fitted by an expert.